For answers, click on the question. For additional information on these questions or any other questions use the Contact Us page. The Association is a legal corporation organized and incorporate under the laws of your state or commonwealth. The Association has Articles of Incorporation that entitle the association to exercise powers of a corporation. By purchasing a home within your community association, you automatically become a member of the association and will remain so for as long as you own your home. Membership in the association is mandatory and automatic for all owners. The deed to each lot and/or parcel specifically designates that the property owner will comply with the Covenants, Conditions, and Restrictions (CC&R’s) of the association. You should have received a copy of these documents at the time your home purchase was closed by the title company. As a property owner in a community association, you will be required to pay assessments, abide by the community’s rules and restrictions and maintain those areas of your home for which you are responsible. What is deemed a Common Area Facility? Common area / facility refers to all property leased, owned, or maintained by the Association. This is mainly for the sole use and benefit of the members in your Association. It may include but is not necessarily limited to private streets; signs; fountains; statuary; recreation sites; landscaping; with or without sprinkler systems; walls; safety lanes; green belts; parking lots; median islands in cul-de-sac streets; centralized mail boxes, which may be existing or potentially built in the future. Your Association is a non-for-profit corporation. As such, the Board’s responsibility is to run the business of the corporation. The board has a fiduciary responsibility to the stockholders or owners of the corporation. This includes timely collection of assessments as well as payments made for services provided to the Association. In general, the Board Members are the decision makers for the Association. The Board of Directors are individual homeowners who live within the same subdivision and who are elected to that position by the members of the Association. All affairs of your association are governed by the Board of Directors. If you are living in an Association that is still being developed, the members of the Board may be appointed by the developer of your community until such time as control of the association transitions to you the homeowners. Can anyone run for the Board of Directors? Anyone can be a Director as long as they are in Good Standing. Individuals who volunteer their time to be / run for the Board of Director or to serve on a Committee are people who have the time to serve the Community and are well informed about the legal documents for their subdivision. This is strictly voluntary and there is no compensation for their efforts except for the fruits of their labors shown at the end of the year. Yes. The budget is established by the Board, with the assistance of the management company. What are Assessments and how are they spent? In order for the Board to accomplish the many tasks for which it is responsible, the association needs operating funds for daily maintenance, repairs, administration and adequate Reserve funds for major repairs or replacements of capital items. As a member of the association, you are required to pay a share of the costs. Are my Assessments fixed or can they be raised? The Annual Assessment may be adjusted by a majority vote of the Board of Directors but shall not be increased by more than a percentage, dependant on your Governing Documents. Anything above that percentage would have to be voted on by the homeowners, by proxy or in person. HO6 or HO3 Condominium Insurances Policies – which one should you have? 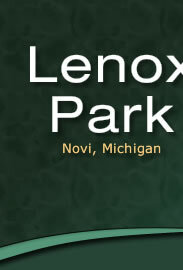 It is suggested that as a resident living in Lenox Park you might want to make sure you are covered under an insurance policy labeled HO6. CHECK WITH YOU OWN INSURANCE AGENT TO BE SURE YOU ARE COVERED CORRECTLY. The form for condominium owners. It insures your personal property, your walls, floors and ceiling against all of the perils in the Broad Form. An HO-6 policy is a generic term used to describe a basic condo policy. The ISO (insurance service organization) created standard policy forms for each basic type of policy. The typical, most comprehensive form used for single-family homes. The policy provides "all risk" coverage on the home with some perils excluded, such as earthquake and flood. Contents are covered on a named peril basis. (Note: "All Risk" is poorly termed as it is essentially named exclusions (ie, if it is not specifically excluded, it is covered)) An HO-3 policy, also known as a broad form policy, is designed to cover single-family homes. A home must typically be a standalone residence that is not attached to living space owned. I would like to start external projects on my home i.e. Sprinklers, building a shed, etc. Are there any requirements / guidelines? Any exterior modifications or additions to your home or any structural changes must have prior written approval from your Architectural Control Committee (ACC). For information, applications and further details, contact us. You should note that this approval process may take up to thirty days; therefore, do not schedule any construction work or purchase any equipment until written approval has been received.